In Protests and Riots: Past, Present and Future Perspectives, the authors analyse a variety of civil disturbances in Manchester and Salford, beginning with the English Civil war to demonstrate that a contemporary claim of senseless violence with later acknowledgment of the implication of the broader context is as true of this locality as of anywhere else. Afterwards, the 2011 August riots are situated within this pattern and it is maintained that any reading of these and future riots must be informed by this tendency to ignore societal conditions. Next, the authors attempt to classify the politically significant social protests in postwar Japanese history by identifying five types of social protest: ideological, labor, item-centered, local and conservative. The specificity of concrete forms of protest is analyzed from the points of view of their substance and organization. South Africa’s volatile post-Apartheid landscape is addressed. Centuries of oppression and racial segregation firmly entrenched inequality and violence, negatively affecting its democratic ethos and economic prosperity. The authors seek to answer the following questions: “Can these embedded paradoxes result in South Africa spiraling out of control, cementing protests and violence as the new discourse? Or will Social Self-Defense serve as the democracy barometer, redirecting leaders towards stability, trust and substantive democracy?” Later, the 2008 global financial crisis and the ensuing protest across the European Union is analyzed. Previous literature on contentious activism and economic hardship has linked a person’s deprivation to the selection of protest as a means of political expression. 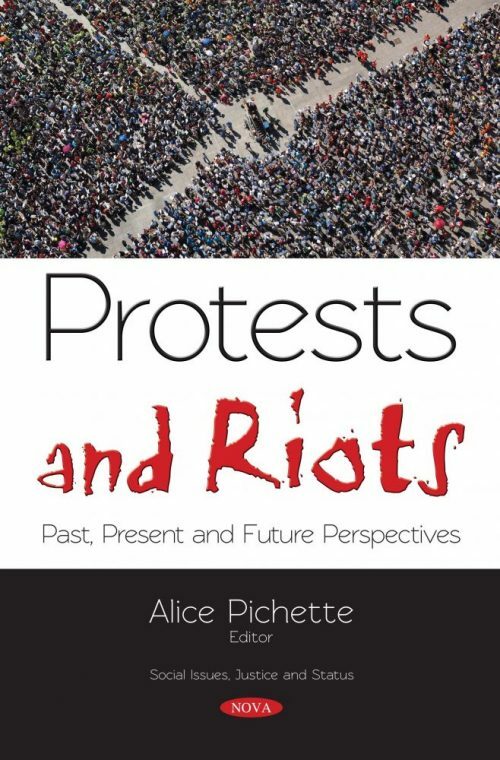 This book aims to determine whether relative deprivation, measured by economic indicators, correlates with protest activity in Europe. The final two issues that are addressed are why individuals choose self-sacrifice as a means of protest and whether protests in a society have an impact on the suicide rate of that society. Chapter 3. Democracy’s Embedded Paradoxes: Are Violent Protests the New Discourse? Chapter 4. Protest Activism and the European Economic Crisis: Does Economic Decline Matter?